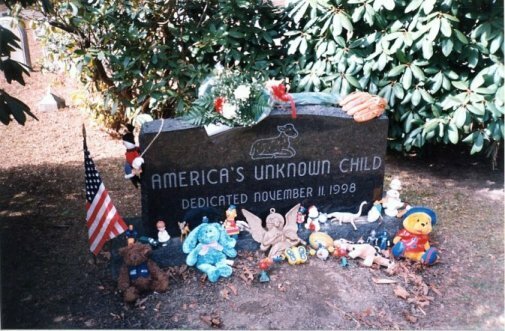 The headstone of America's Unknown Child decorated with flowers, toys, and other sentimental offerings. 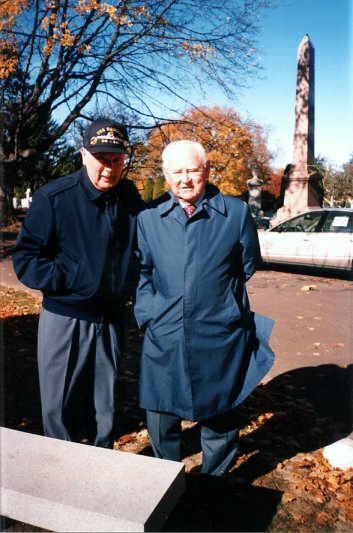 Vidocq Society investigators, William Kelly (left) and Joseph McGillen (right). 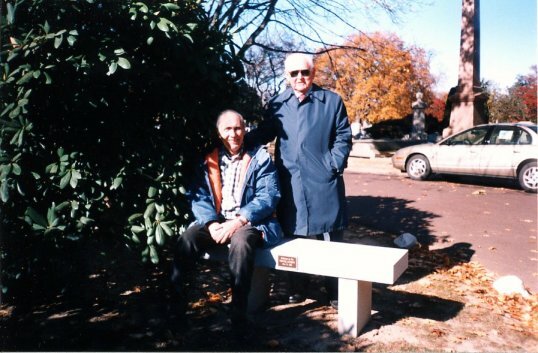 George Knowles, Administrator of the America's Unknown Child website (seated), and Joseph McGillen. 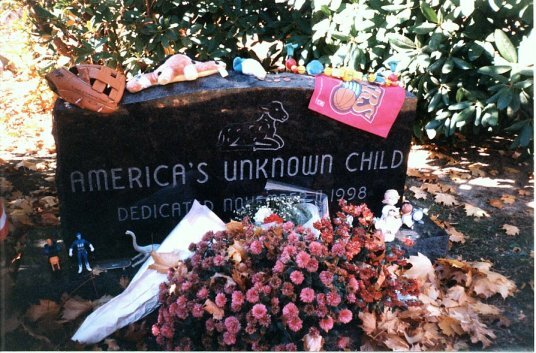 The headstone of America's Unknown Child - some new toys and other items were added by visitors during the prior three months. 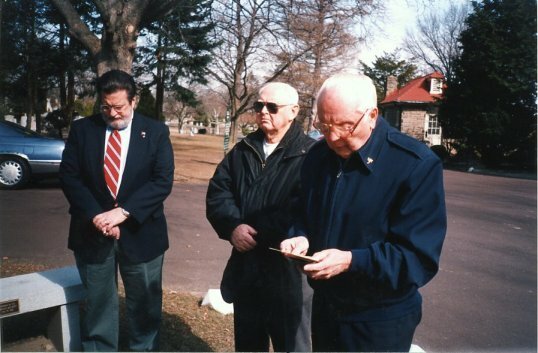 Vidocq Society investigators - William Fleisher, Joseph McGillen, and William Kelly offer prayers. 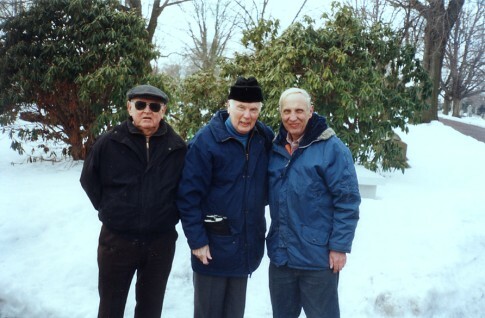 Messrs. Kelly, Fleisher and McGillen pose for a graveside group portrait. William Kelly and William Fleisher review the status of the Boy in the Box investigation and discuss new initiatives. Joseph McGillen joins the case discussion. 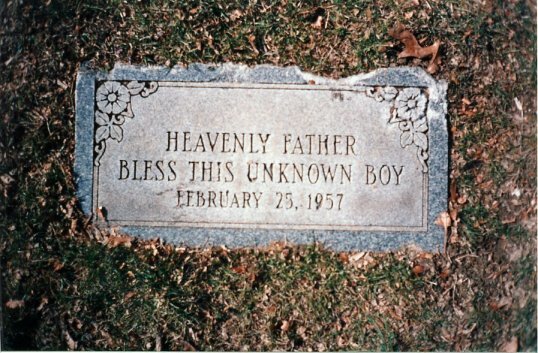 The original headstone of America's Unknown Child. 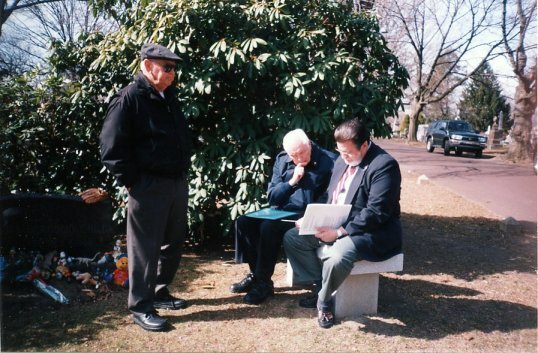 The grave of America's Unknown Child was visited by Vidocq Society Commissioner - William L. Fleisher, Vidocq Society Investigators - Joseph McGillen and William H. Kelly, Detective Tom Augustine, and George R. Knowles - Administrator of the America's Unknown Child website. Due to inclement weather, no photographs were taken. 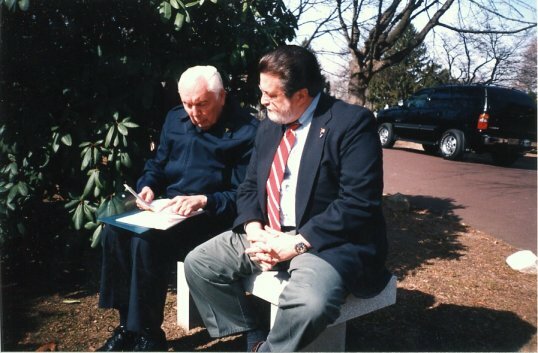 (L to R) Vidocq Society investigator - Joseph McGillen, Philadelphia Police Dept. 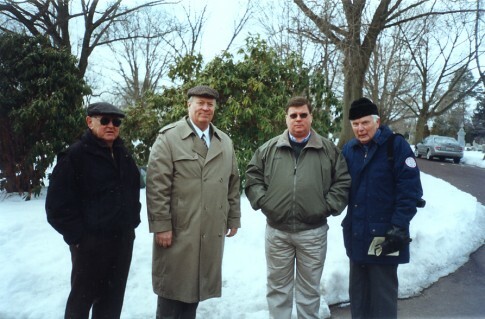 Homicide Inspector - James Boyle, Detective Tom Augustine, and Vidocq Society investigator - William H. Kelly. 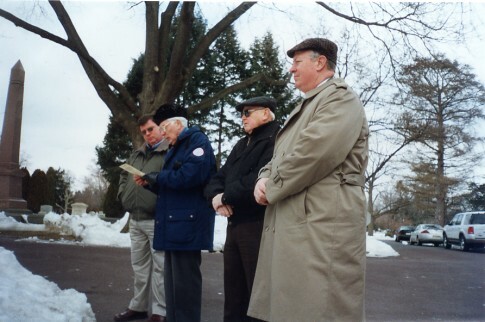 William H. Kelly leads the group in prayers. 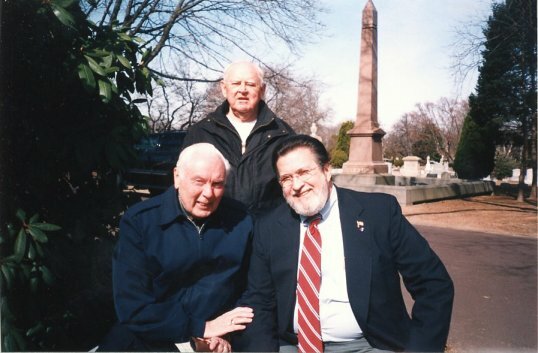 Joseph McGillen, William H. Kelly, and George R. Knowles - Administrator of the America's Unknown Child website. 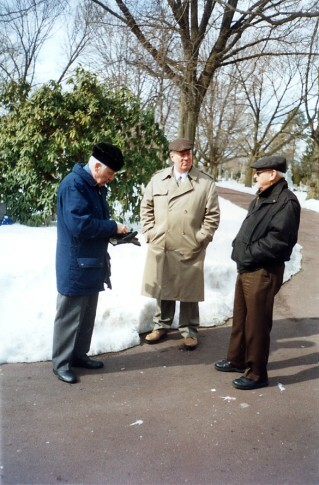 William H. Kelly, Homicide Inspector James Boyle, and Joseph McGillen discuss the investigation.